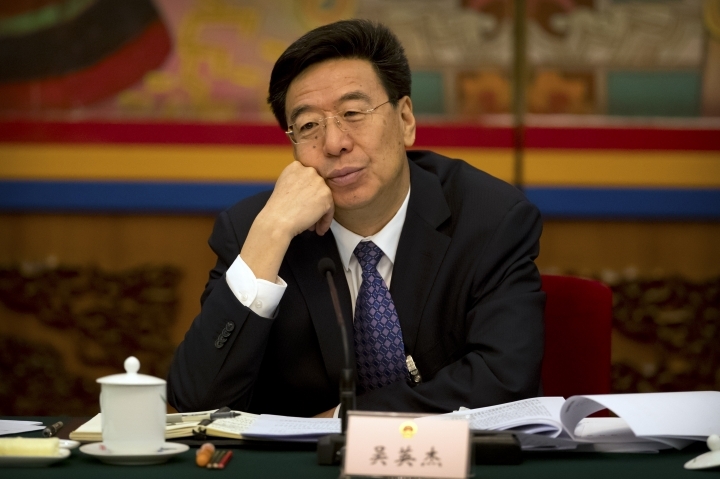 BEIJING — China's Communist Party chief in Tibet insisted Wednesday that the Tibetan people feel more affection toward the government than to the region's traditional Buddhist leader, the Dalai Lama, who fled following an abortive uprising against Chinese rule nearly 60 years ago. The people of Tibet are instead "extremely grateful for the prosperity that the Communist Party has brought them," he said. Zhaxi Jiangcun, a Tibetan grass-roots delegate whom Wu called upon to speak, said as far as he knows "there is no such thing" as adoration for the Dalai Lama among Tibetans. This Sunday marks 60 years since the 1959 rebellion which erupted in the regional capital of Lhasa. The Dalai Lama has since lived in exile in India, while Tibet has faced increasingly harsh Chinese rule. In 2008, anti-government protests culminated in attacks on businesses and individuals of Han Chinese ethnicity, the country's ethnic majority. China says Tibet has been part of its territory for centuries and regards the Dalai Lama as a dangerous separatist. Many Tibetans, however, insist they were essentially independent for most of that time and have accused China of heavy-handed rule since the country's army battled its way into the Himalayan region in 1950. Beijing exacts severe punishments on people whom it accuses of advocating Tibetan independence. Tashi Wangchuk, a Tibetan language advocate, was arrested and later sentenced last year to five years in prison for allegedly inciting separatism after he appeared in a New York Times documentary video. 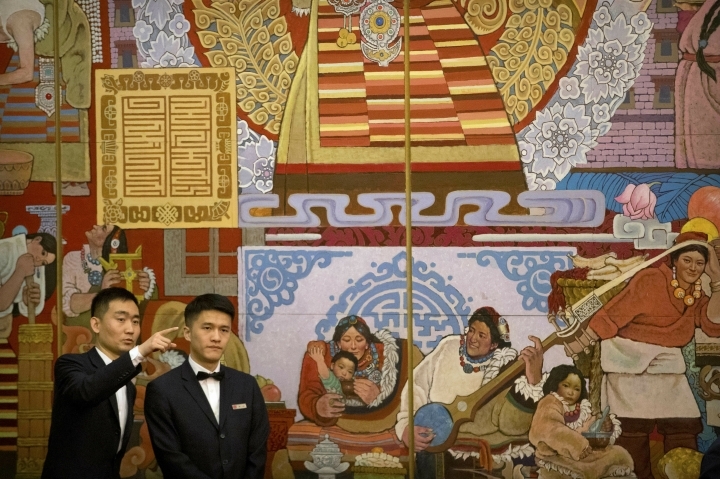 Wu said Wednesday that there are no restrictions on Tibetan language and that Tibetans are encouraged to learn their mother tongue in addition to Mandarin, China's dominant language. Current conditions in Tibet are difficult to determine because foreign travelers must get special permission to enter the region. Access is rarely given to foreign journalists, though Wu said everyone is welcome as long as they go through official channels. He said some precautions are necessary to protect tourists' safety. The region has an average elevation of 4,500 meters (14,850 feet), which can causes altitude sickness. "A lot of foreigners are thankful for our concern," Wu said. 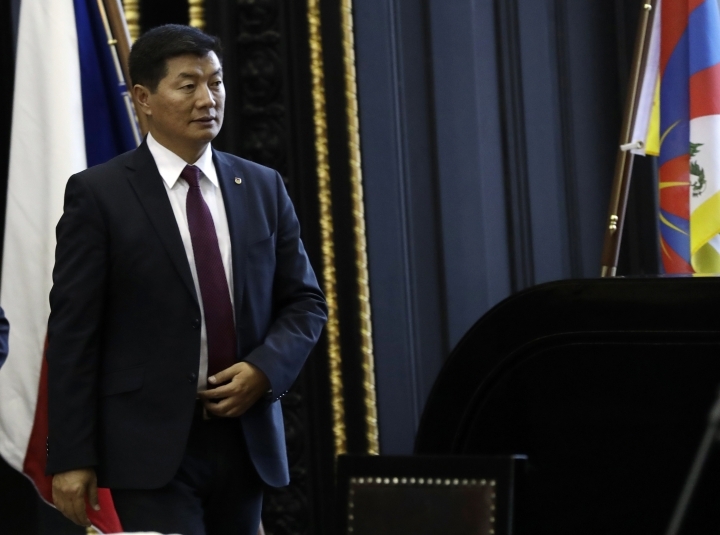 On a visit to Prague on Wednesday, the prime minister of the Tibetan government-in-exile said he was heartened to see support for his people in the Czech Republic. 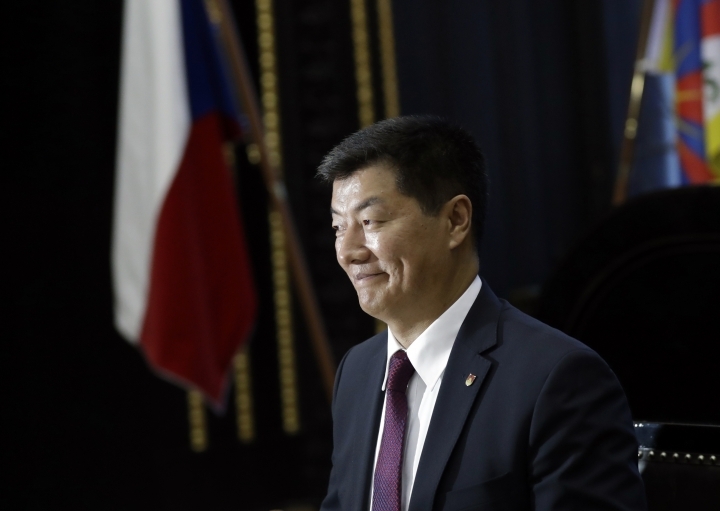 Sangay said Tibetans are inspired by the Czech Republic's successful 1989 Velvet Revolution, which resulted in the breakdown of communist Czechoslovakia. He also commented on the current situation in China's far west region of Xinjiang, home to the predominantly Muslim Uighur and Kazakh minority groups. Former Tibet Party Secretary Chen Quanguo is now the party chief in Xinjiang. 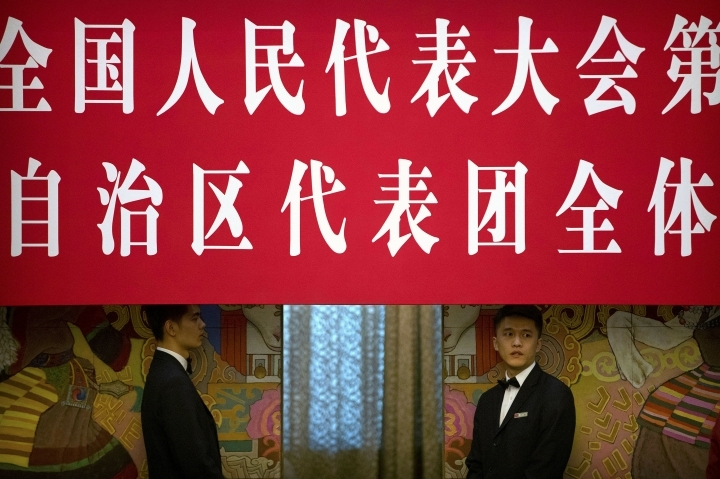 Under his leadership, the region has been blanketed with stifling surveillance, and an estimated 1 million Uighurs have been detained in extrajudicial camps which the government calls vocational training centers. 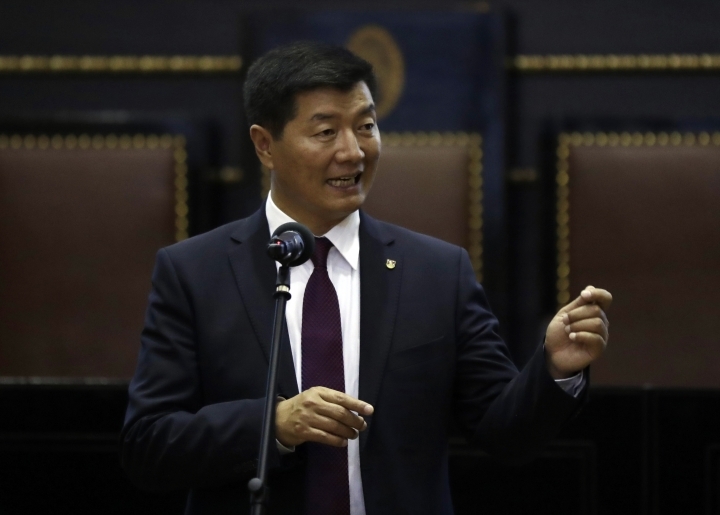 "(Chen) perfected the algorithm and software and the ... system on controlling Tibetans for five years, which he implemented in one year's time in Xinjiang," Sangay said. Associated Press journalist Adam Pemble contributed from Prague.